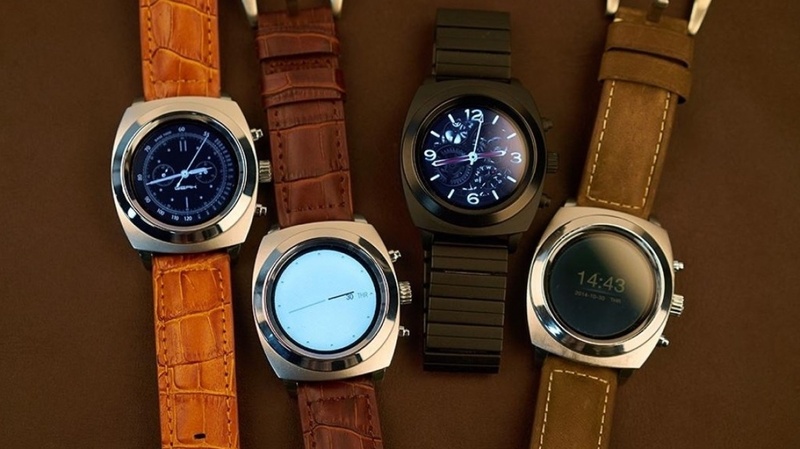 GEAK Watch II smashes crowdfunding target: Too good to be true? While most smartwatch manufacturers seem to be going for the 'less is more' approach, the opposite is true for this supercharged smartwatch that packs in every conceivable feature. The GEAK Watch II was looking for $16,355 on Pozible to fund its smartwatch plans, and ended its crowdfunding round with a cool $284,454 in the bank. It's possibly the most feature-packed smartwatch imaginable, and in the sweet shop of technology, GEAK has gone for a one-of-everything approach. Firstly it eschews Android Wear for a full dose of Android 4.3 (Jelly Bean), and secondly, it opts for two screens – an E Ink always-on display and a 320 x 320 254ppi LCD for more in-depth tasks. Not having to power an always on LCD means that its creators promise an 18 day battery life on a single change, while still offering the time on-screen when you need it. However, it's not clear how much impact using a fully-featured version of Android will have – we'd say a lot. Aside from the usual smartwatch fayre of notifications, the exhaustive feature sheet even extends to heart rate monitoring, air quality indexing and GEAK even has its own app store. “GEAK Watch II is the world's first true round panel smart watch - with no dead 'sensor' area, the entire screen is beautifully lit and functional," the company wrote on its Pozible crowdfunding page. “Equipped with full Android 4, it is also the most powerful and versatile smart watch on the market," it continued. The GEAK Watch II's name says it all, and this is the feature rich watch that's at the top of every power user's wearable Christmas list. The previous model was only released in China, but this time the company wants to take its smartwatch international. The timeline states that it will start shipping watches by January, which we'd be astounded if it achieved. However, if its makers can get its watches out of the door, get those dual screens working properly and create a usable experience from its Android OS then it could have a serious winner on its hands.